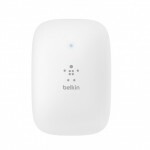 Boost your Wi-Fi coverage with the Belkin AC1200 Wireless-AC Range Extender. This range extender expands Wi-Fi coverage and boosts Wi-Fi in hard-to-reach areas of your home, eliminating wireless dead zones. 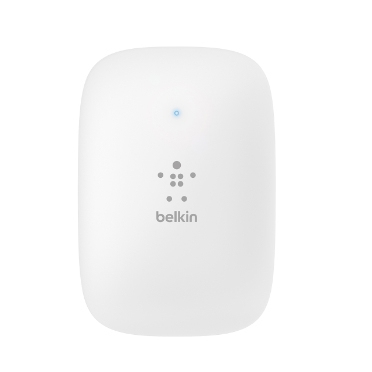 The high-performance internal antennas help maximize signal strength and coverage, so you can enjoy a stronger Wi-Fi signal in every room of your house--and even your backyard. With the AC1200 range extender, youÃ¢â‚¬â„¢ll always have enough bandwidth for your task--even when multiple devices are connected. It features two dedicated Wi-Fi bands: a 5 GHz band for video streaming, gaming, and ultra-fast media sharing, and a 2.4 GHz band thatÃ¢â‚¬â„¢s ideal for activities such as emailing, web surfing, and wireless printing. The AC1200 range extender is designed for a painless, hassle-free installation, with no CD required. With Auto FW upgrade feature, no additional maintenance is needed after youÃ¢â‚¬â„¢ve paired the range extender with your router: simply set it and forget it.